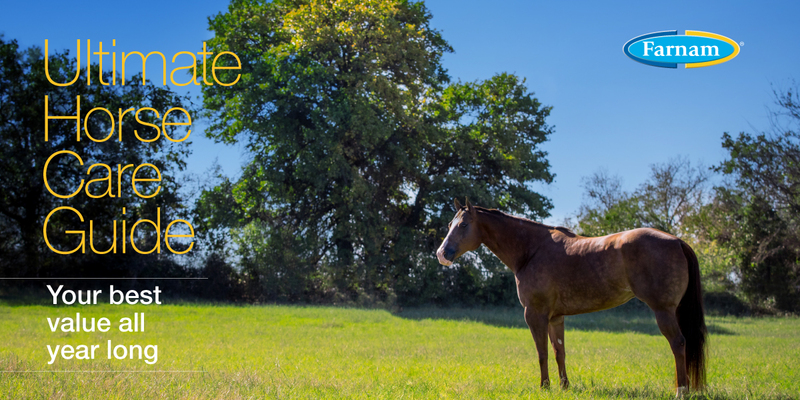 Request your copy of the 2019 Ultimate Horse Care Guide! Enjoy savings all year long. Sign up to receive our Ultimate Horse Care Guide. Guides will be mailed in April 2019. Valid in the U.S. only, while supplies last. We will not disclose the personal information you provide to third parties or anyone outside of Farnam, and its advertising and promotion agencies, except in those specific instances where you expressly give us permission to do so, or where we are required to do so by law. © 2019 Farnam Companies, Inc. All trademarks are property of Farnam Companies, Inc.